How do you create a fully formed, tangible concept that meets the needs of real people … in just 48 hours? 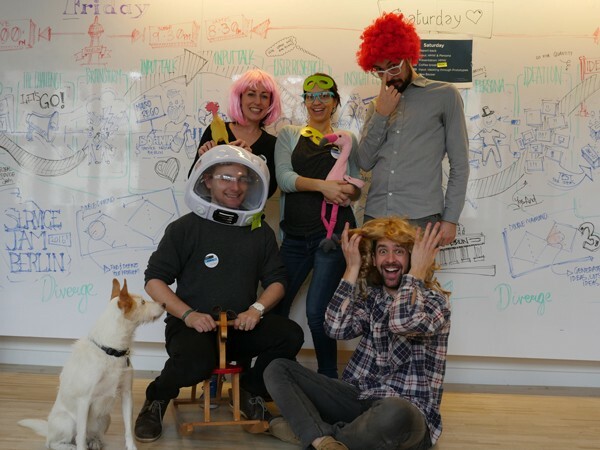 Melanie Robalino Ureña, Dhyana Scarano, Adam B. Cochrane, Matias Ferrero and Gábor Kőhalmi reflect on their experience as hosts at the recent Service Design Jam in Berlin. Building to think is without doubt the core principle of the Global Service Jam, the nonprofit event that takes place over 48 hours and sees people think up new and innovative solutions to everyday problems. 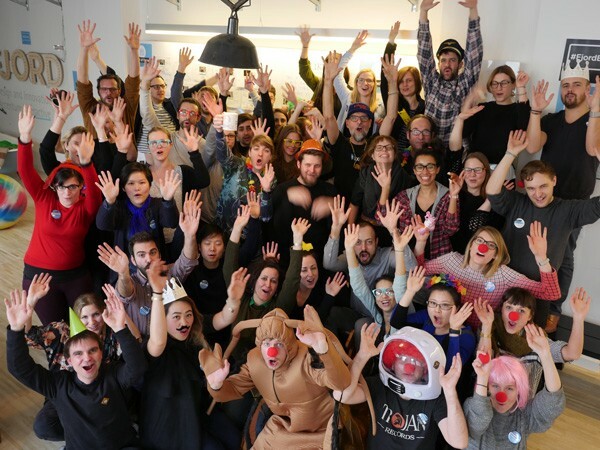 At the recent Berlin Global Service Jam, we joined more than 30 people from a variety of backgrounds to help them gain hands-on experience of design thinking methods in use, including user research, fast iterations and collaboration, and showed them how fun, creativity and productivity go hand in hand. 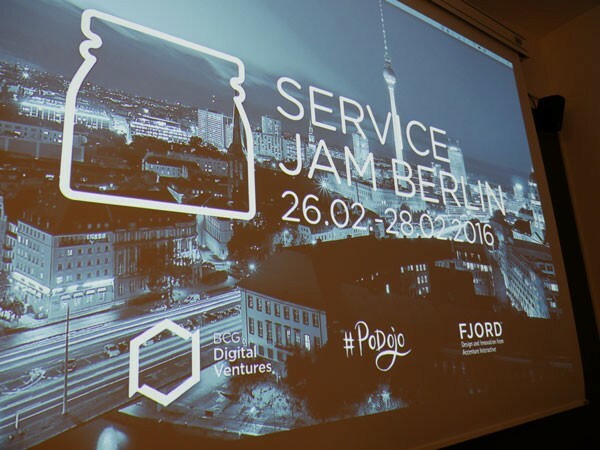 What’s interesting about the Global Service Jam is that it encourages us to do the exact reverse of what we do day-to-day. So rather than thinking through a concept, discussing options and agreeing on a way forward before going into build, a Jam asks us to do the opposite. By reversing the process, “building to think” sparks creativity and enables faster progress because you get to work on a real prototype at the very beginning — often out of a mix of paper, cardboard and Legos. Then, as you build, you start to spot flaws that you wouldn’t have previously seen and are able to identity potential additions or changes to enhance. By using rapid prototyping, asking people to test and constant iteration, the idea evolves quickly and reaches a fully formed product concept that solves the needs of real people. It creates a common understanding, rapidly! There’s no need to explain your idea because you’ve turned it into something real. It leads to tangible ideas that people can interact with. It produces testable concepts that allow you to gather more feedback during user testing. It gives the team a genuine sense of shared motivation and achievement, knowing you’ve come together with a group of strangers to bring a concept to life in an incredibly short space of time. We are big fans of the Jam mindset as a tool to help push past boundaries. It encourages you to work without overthinking the constraints and embrace a fresh, open mind where anything is possible. After all, a service is only a service when it’s experienced! Venture Investment and incubation firm.